Looking for quality pre-owned vehicles in the New Orleans area? At Walker Acura, we offer a wide selection of used Acura cars and SUVs as well as other makes and models, so you’re sure to find a vehicle that suits your needs. If you’d like to narrow down your search even further, you can browse our certified pre-owned vehicles which undergo rigorous quality inspections. 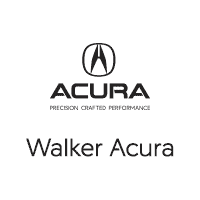 For used cars near Slidell, rely on Walker Acura. Certified. Acura Certified Pre-Owned Details: * Powertrain Limited Warranty: 84 Month/100,000 Mile (whichever comes first) from original in-service date * Limited Warranty: 12 Month/12,000 Mile (whichever comes first) after new car warranty expires or from certified purchase date * 182 Point Inspection * Roadside Assistance * Transferable Warranty * Includes Trip Interruption and Concierge Services * Vehicle History * Warranty Deductible: $0 Priced below KBB Fair Purchase Price! CARFAX One-Owner. Clean CARFAX. Acura Dealer Maintained, Clean CarFax, Leather, One Owner, Tech Package, Acura Certified Pre Owned, RDX Technology Package, ABS brakes, Electronic Stability Control, Front dual zone A/C, Heated door mirrors, Heated front seats, Heated Front Sport Seats, Illuminated entry, Low tire pressure warning, Navigation System, Power Liftgate, Power moonroof, Remote keyless entry, Traction control. Certified. Acura Certified Pre-Owned Details: * Limited Warranty: 12 Month/12,000 Mile (whichever comes first) after new car warranty expires or from certified purchase date * Vehicle History * Roadside Assistance * Warranty Deductible: $0 * Transferable Warranty * Powertrain Limited Warranty: 84 Month/100,000 Mile (whichever comes first) from original in-service date * Includes Trip Interruption and Concierge Services * 182 Point Inspection Priced below KBB Fair Purchase Price! CARFAX One-Owner. Clean CARFAX. CarFax Certified, Clean CarFax, Meticulous Service History, Non-Smoker, One Owner, Acura Certified Pre Owned, 3.5L V6 SOHC i-VTEC 24V, ABS brakes, Electronic Stability Control, Front dual zone A/C, Heated door mirrors, Heated front seats, Heated Front Sport Seats, Illuminated entry, Low tire pressure warning, Navigation System, Power Liftgate, Power moonroof, Remote keyless entry, Traction control. Certified. Acura Certified Pre-Owned Details: * Powertrain Limited Warranty: 84 Month/100,000 Mile (whichever comes first) from original in-service date * Includes Trip Interruption and Concierge Services * Limited Warranty: 12 Month/12,000 Mile (whichever comes first) after new car warranty expires or from certified purchase date * Roadside Assistance * 182 Point Inspection * Warranty Deductible: $0 * Transferable Warranty * Vehicle History CARFAX One-Owner. Clean CARFAX. Back Up Camera, CarFax Certified, One Owner, Tech Package, Acura Certified Pre Owned, 3.5L V6 SOHC i-VTEC 24V, 6-Speed Automatic, ABS brakes, Electronic Stability Control, Front dual zone A/C, Heated door mirrors, Heated front seats, Heated Front Sport Seats, Illuminated entry, Low tire pressure warning, Navigation System, Power Liftgate, Power moonroof, Remote keyless entry, Traction control. Certified. Acura Certified Pre-Owned Details: * Warranty Deductible: $0 * 182 Point Inspection * Transferable Warranty * Roadside Assistance * Powertrain Limited Warranty: 84 Month/100,000 Mile (whichever comes first) from original in-service date * Vehicle History * Limited Warranty: 12 Month/12,000 Mile (whichever comes first) after new car warranty expires or from certified purchase date * Includes Trip Interruption and Concierge Services Priced below KBB Fair Purchase Price! CARFAX One-Owner. Back Up Camera, CarFax Certified, Clean CarFax, Meticulous Service History, One Owner, Acura Certified Pre Owned, MDX 3.5L w/Technology Package. CARFAX One-Owner. Meticulous Service History, Oil Changed, One Owner, Tahoe LS, Vortec 5.3L V8 SFI. After you’ve browsed our used inventory online, stop by our Metairie showroom to see our pre-owned models in person. Whether you have a particular model in mind or are just beginning your search, our sales staff can help you explore all of your options. Then, you can rely on our finance team to help you explore our used vehicle specials as well as lease and loan options. Contact us with any questions you have, and you’ll be on the road in a quality used vehicle in no time. And, once you hit the road in your certified pre-owned vehicle, check out the best seafood restaurants in Metairie.